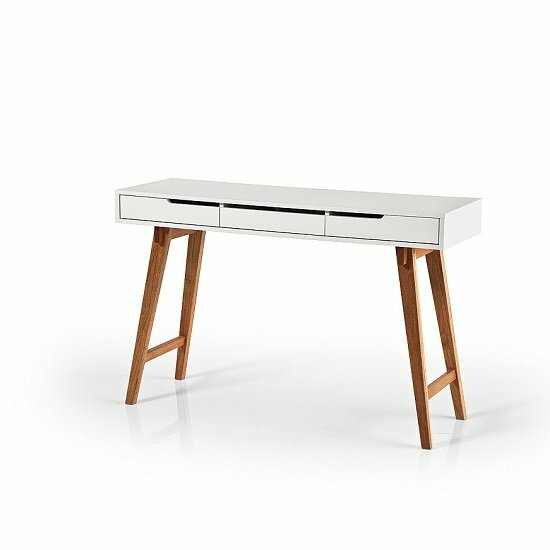 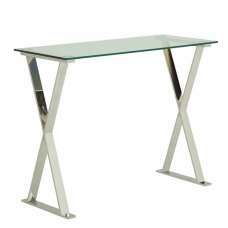 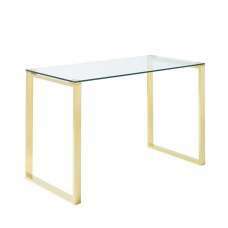 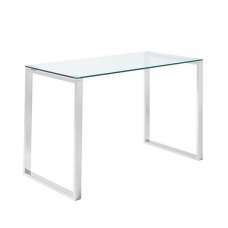 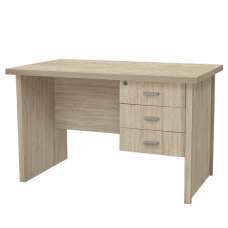 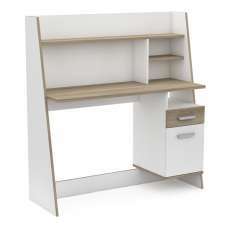 Anke matt white lacquered Wooden Console Desk With Beech Colour Legs. 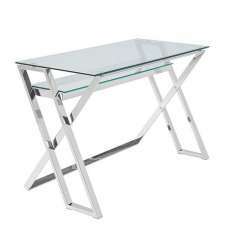 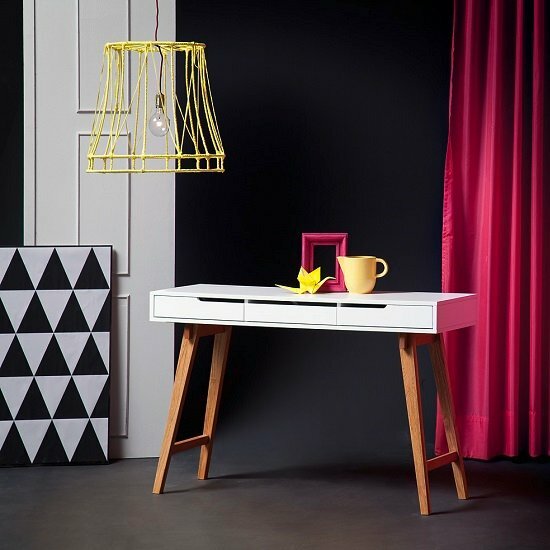 This will add contemporary style to any living space. 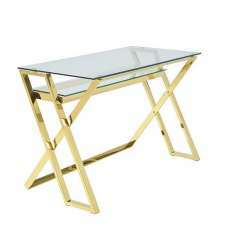 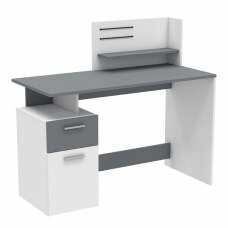 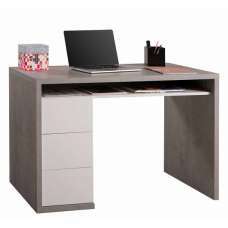 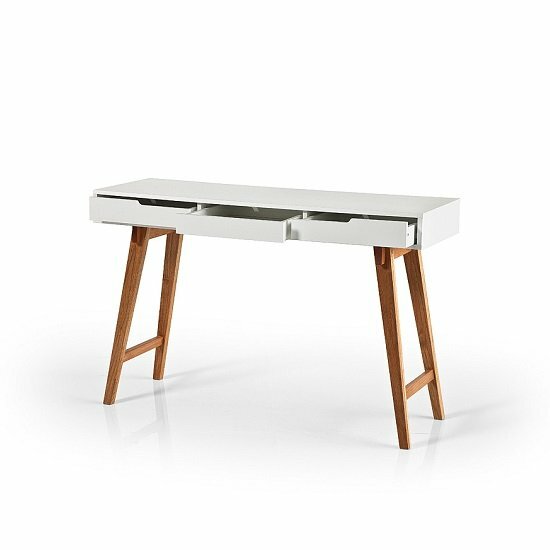 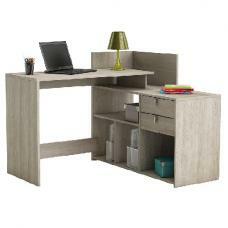 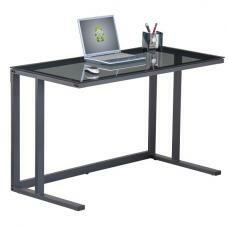 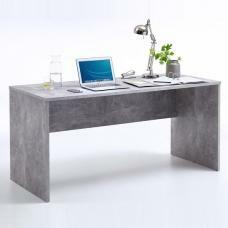 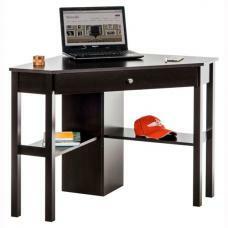 Rectangle shape, the Retro Console Desk has a 3 pull-out drawers which is ideal for compact living. 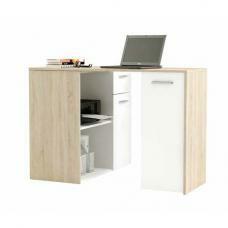 Storage of devices and chargers, and there is ample room for storage of laptops, tablets, paperwork and magazines Etc.